The first draft is a bit of a Marmite process, don’t you think? You either love writing it or, like me, you loathe it. I call myself a writer which is weird since I don’t like writing all that much. What I do love, however, is the editing. Turning the rough words into something better – tinkering, changing things about, questioning everything. It doesn’t matter whether it’s my own work that I’m editing or somebody else’s work, editing locks me in completely. And when I’m in the midst of it, even when I’m not at the computer, I’ll be thinking about it – what bits work, what bits don’t, and why. That’s why I’m splitting my time between writing and editing other people’s work now. I’m loving freelancing as a story editor for literary agents as well as the Blue Pencil Agency. Today is a writing day though. I have a rough plan, but the story isn’t fully formed yet. It’s scary, like driving in the dark when your lights don’t work and you can’t see the road ahead. I’m impatient to be home. A confession: I’ve taken to setting the timer on my mobile phone for an hour at a time to force myself to stay put at my desk, to stop myself from giving in to my constant cravings for snacks and tea. The first 1,000 words of the day are usually fuelled by a round of toast. The next few hundred come courtesy of a couple of slices of cheese. And then thank goodness, it’s lunch time. An early lunch, but who cares? Everything gets better after lunch. So with that in mind I’m going back in – hopefully adding to my current 24,000 words. 24,000 distinctly un-Angelou words, but it’s a start, right? Post by Fiona Mitchell, author of The Swap, published on 18th April 2019 by Hodder & Stoughton. My little old book is almost ready to be frisbeed out into the world of literary agents again. So when you’re submitting, what sort of mental attitude should you have? Maybe I should adopt this approach. But just now an email popped into my inbox. ‘I’ve finished reading your book and I have to say it’s looking absolutely brilliant.’ That’s my editor, Sara Sarre. So, I’m about to walk up to the starting blocks yet again. Prayer position, and breathe….. and back to that feature….. Writing a synopsis is variously described as ‘synopsis hell’ and ‘the most difficult 500 words you’ll ever write’ – in my case, the most difficult 800. I’ve just written a new synopsis for my first novel, so thought I’d share my pain, ahem, I mean pointers. Is a synopsis going to land you an literary agent? Most submissions require a covering letter, the first three chapters of your book and a synopsis. An agent will read your covering letter, take a look at the first few pages of your novel and if they like what they see, they’ll want to know where the story is going; does it have enough meat on it; will it sell? Move over chapters; make way for the synopsis. It’s not the blurb on the back of the book; it’s the nuts and bolts of your story. What happens; what’s at stake and how does the jeopardy rise? Is the ending a satisfying one? Hit the highlights – the bones of the story – beginning, middle and end. Make sure the plot has a true arc – are the conflicts of the main characters clear, and the resolutions to those conflicts? 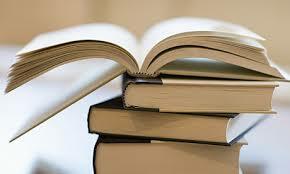 Mention the genre of your book – commercial, YA, book group fiction etc. Include setting – what country, what year? Highlight the main characters. Put their names in capital letters or embolden them when you first introduce them. Include the unique selling point of your book. Make the synopsis 500 to 800 words, and when you get an agent who wants a synopsis of 300 words instead, put your head into your hands and blub loudly. Then dab yourself down. You can do this! Chop, chop – take out another subplot or two and get rid of superfluous spiel. Spoilers – Do include the final plot twist. A detailed account of the characters’ personalities. A quick character sketch is enough. Disillusioned science teacher Walter White. The unmarried Frances with an interesting past etc. A blow-by-blow account of every single subplot. Be lean; you don’t have the space for this. Finally, let other people read your synopsis because if Great Aunt Iris can’t make sense of it, you can bet your life a literary agent will chuck it into the bin faster than you can say Trash. It’s almost time to send my first novel out into the world again. There’s nothing left to write on its pages. There was the first draft. Then a literary agent met me and suggested changes. Next, came the second draft. When the rejection came, I pushed the book into a drawer for a few months. Then somehow the book started niggling at me again. I found the will to push on with the third draft. 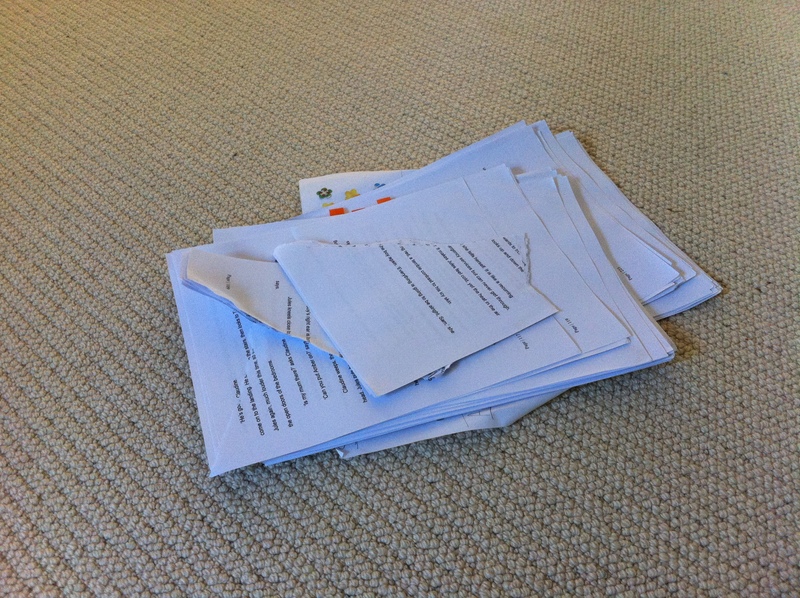 Another literary agent liked it, and what happened was this: a major rewrite and a new plot, resulting in draft number four. Cue good reactions from several literary agents, but still an all-round no. Then one of the agents wrote back to me recommending an editor/mentor, and with her insights I’ve now completed the fifth draft. Let’s hope this draft is fabulous number five. When Hannah Kent finished Burial Rites, she had a surprising reaction. (Admittedly this was her first draft, not her fifth). I can relate. Finishing feels like a loss. I’m glad that I’ve got this far, but all those obsessive late nights, all those burnt pieces of toast, all those half-listened to conversations, are gone. I’m not sad. Neither am I elated; I just feel knackered. I’ve read my book that many times aloud that I sound like I have a forty-a-day habit. During warmer months, me speaking in my characters’ tongues has spilled through the open windows. ‘I don’t want this anymore.’ ‘It isn’t a marriage anyway!’ The neighbours must think I’ve got multiple personalities. Either that or I need a bit of marriage guidance counselling. And I have to admit, I do feel slightly unhinged. A chapter of my life is now over. This book is just about as good as it ever will be; it’s do or die. I’m stepping into some new place, some other writing project, something that might give me yet more oxygen. Because writing is like breathing to me: it’s the only way to live. Stick the bread in the toaster. It’ll take at least a minute, so you might as well use the time wisely, right? Smash the keys and peer at the screen. And then smell the stench of burn. But what’s a charred piece of Kingsmill when you’ve cracked another line? Frisbee the blackened square into the bin and pop another slice in. Now, you’ve figured out the timing, it’ll be browned to perfection. Carry on typing. The fire alarm goes off next, so you fan that new notebook under it, and figure it’s best to concentrate on one thing at a time. The end of a paragraph? You’ve hit 500 words? Any excuse to celebrate – cut a slice of cake, butter that muffin. You deserve it right? And might as well kill two birds with one stone. Scoff it in front of your keyboard and type. Only thing is the space bar’s now jammed with crumbs, so tip your laptop upside down and give it a good old shake. Nope, it’s still not working. Time to bring out the big guns. You wet a J-cloth and give the entire keypad a once over. The screen’s flashing, the mouse is dashing around like a frenzied fly. Call it quits for the day and visit your nearest Apple store. What a palaver dinner is. The most time-consuming meal of them all. You take everything out on the food, cutting those carrots like you hate them. Flinging the rice into the pan to bring to the boil. And as for any protein…..oh, just stick it under the grill. All this preparation means you’re going to have to leave your computer alone. Except you don’t. You end up with the rice grouted to the pan and the carrots boiled to buggery. Looks like you’ll have to make do with toast only there isn’t any bread left since you burnt it all. There’s always the freezer. So that’s where that garlic naan that you froze in 2009 went to. Still if your cupboard is bare, it gives you more time for writing. But here are the three biggies, things I’m going to try hard not to repeat. I’d already been told these were no-nos, it’s just I chose to ignore the advice. Well not any more. I’m turning myself into an advice sponge. I’m going to lap it up like a ladyfinger. God, I love Trainspotting. Brought up on a diet of Ayes and Help my Bobs, via The Broons and Oor Wullie, I throw in the old colloquials whenever I can. Well, that’s alright in dialogue, but the whole narrative? An editor from a major publishing company who gave me some fantastic advice a fortnight ago expressed a preference for bog standard English. Okay, so I know some writers do experimental narrative well, but it’s not working for my book. ‘The patois creates a distance between the character and reader,’ one literary agent told me. So adios, patois. Laters. Kapitche. My characters are distinct – that’s one thing that all the agents who’ve read my book have agreed on. It’s just one of my characters has no internal arc. In my head, she was a put-upon angry young thing who’d eventually transform into a formidable business woman. On my computer screen, however, this character was as flat as a chapati with breeze blocks piled on top. Your characters need to change. They need a turning point in which they start to act differently. List the changes. Write them down, pin them to your wall. Your characters need to grow. My central character, the one that has the sharpest edges and spikiest tongue, her story doesn’t really get going until page 70. Cue major edit. Your character’s story needs to start on page one. There has to be an inciting incident to tip your reader into the narrative. It needs to be powerful enough to keep your reader turning the pages. Magnetize them. Draw them in. To do this, create conflict straightaway, things that are at stake. So this is it. I’m going in. Here comes my first edit of 2016. And this time my novel’s going to be patois-free, bursting with provocative beginnings. No flatlining allowed. Ding! Ding! It’s round two of the second novel. With the whole thing written, it’s time for an initial read by someone other than me. As ever, my first reader is my husband. He reads everything I’ve written – from short story to novel – all 92,000 words of the first book, not once, not twice, but three times. I have just passed him the first seven chapters of the second novel. I know, I know, every book about How to Write a Novel tells you not to go there. ‘Don’t, under any circumstances, get your husband/wife/girlfriend/boyfriend to read your work.’ Because, duty bound, they’ll tell you what you want to hear. Right? Well, that’s all very well. But if you’re not part of a writing group, who can you ask? I’ve exhausted all of my go-to people with the first book. And I mean exhausted. Each of them gave it their all: Coffee cups shook in hands, red wine moustaches were painted on upper lips as verdicts were delivered and notes were made. I felt for them, I really did. It was a big ask. So while it might not be the done thing – my husband is now sitting on the floor surrounded by a fan of paper that has a shot of being my first published book. My voice has become unusually high-pitched and my eyebrow is arched in a question mark. I’m saying a silent prayer: Please husband, reader and chief book critic – like the damn book – will you? What’s the point of delusion, after all? Yes, he’s feeling the pressure. Yes, there is no right answer. And yes, I’m going to be a bit peeved if he doesn’t like it. But you’ve got to start somewhere. And this is only the start. Next comes a massive edit by a professional editor. And then, ping, off the book will go to an agent or two or twenty two or….. Nope, don’t even think it! This is just the beginning. Can someone please turn my MS into a real book?